Washington, March 28 (IANS) In his first public appearance as the new Indian-American CEO of Microsoft Satya Nadella made a break from the company’s long-standing Window-centric world view to unveil Office suite for rival Apple’s popular tablet iPad. 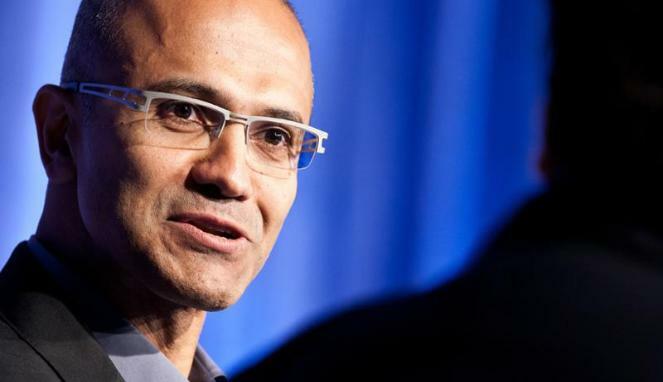 “It’s a beautiful set of applications,” said Hyderabad-born Nadella, only the third CEO in the software giant’s 39-year history after founder Bill Gates and Steve Balmer, whom he replaced Feb 4. “The hope is that enough iPad users will forgo free alternatives such as Google Docs and Apple’s iWorks software, and so compensate for potentially lost sales of its own Windows-based Surface tablets,” it said. When Ballmer was in charge, Microsoft hewed closely to a Windows-centric view of the world in which the fate of its operating system dominated the company’s decision-making process, CNet noted. Nadella is aware that Microsoft faces skepticism as many iPad users already use inexpensive products that offer features similar to Office, it said. But a product from Microsoft would be expected to provide better compatibility with Office on PCs than any third party can provide, CNet said. In Microsoft’s last fiscal year ended in June 2013, the Office-dominated business division accounted for more than $16 billion of Microsoft’s nearly $27 billion in operating profits. For its part, Apple is “excited” that the software is coming to its ecosystem. “We’re excited that Office is coming to iPad,” Apple spokesperson Trudy Muller told CNET in an email. and Paper by FiftyThree, she said.